If you want to give your bike a refresh, there are a couple of parts and components you can replace to give it a new lease on life. If the goal is to improve your bikes performance, you don’t need to head to the local shop and purchase a whole new one. Instead, there are upgrades you can do that can make a big difference to the weight, comfort and aerodynamics of your bike. A wheel upgrade can really give your bike a new personality and an extra jump when it comes to going a little faster. They drastically change the ride quality of a bike. In addition, if you have the budget you can get a pair that are lighter and more aerodynamic which will make your bike faster in all conditions. While a more expensive investment than the ones below, wheels make the biggest differences to how a bike feels. Cost: $500 to as much as you’ve got to spend. Your tires are the only part of your bicycle that should make contact with the road beneath you. High-quality tires will roll faster and be constructed from lighter rubber compounds. A squared off or heavily worn tire won’t perform as well and leave you susceptible to punctures. Next time you are shopping for tires, spend a little extra money to get a higher performing tire if your goal is to go a little faster. The stock saddle that came with your bike might be marginally slowing you down, especially if it’s not particularly comfortable. A new saddle that fits your behind properly will allow you to get into a more comfortable position on your bike so you can get the most out of your bike when you are pushing hard. A good saddle will also save you some grams and every ounce counts when it comes to cycling. You don’t need to buy an entirely new bike to get yours a bit more aero. Apart from some deep wheels, an aero set of handlebars can reduce the frontal surface area of your bike. Handlebars aren’t all equal either with some being made from carbon or lighter alloy. The shape of the drops can also make a small difference to the position you are able to achieve when in them. 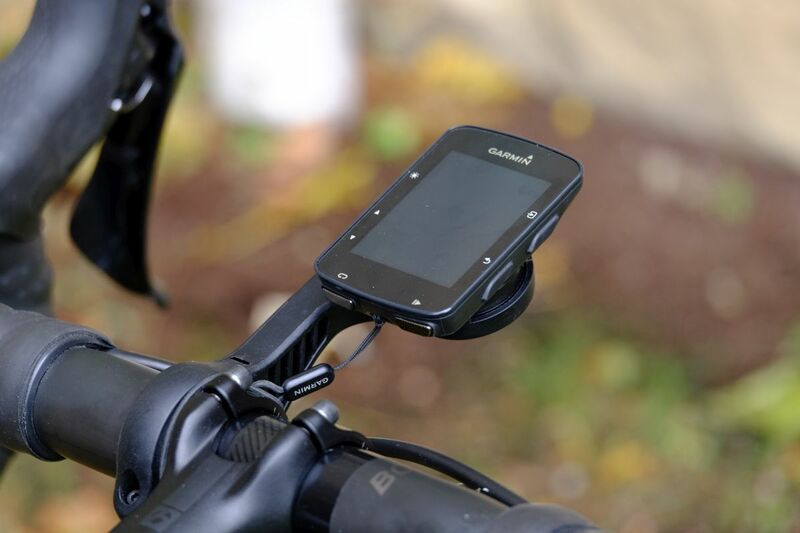 Getting your Garmin or cycling computer off your stem or handlebars does not just improve the aesthetics of the bike. While very marginal, you may save a few watts with your Garmin in front of your handlebars where they won’t add as much extra drag on your bike. Really this one is mostly about aesthetics and putting your cycling computer in a more comfortable position to look at it from. Keeping your bike in good working order is not only essential to preventing untimely mechanicals and wearing out components faster but is good for your bikes overall performance. Gunk on your chain and cassette will add friction while precise shifting won’t be possible leaving your struggling to get into the right gear during efforts. Keeping your machine looking pristine will also remove any unnecessary weight you are carrying around in the form of girt on your downtube and wheels. So clean your bike regularly and change worn out components as soon as possible. If you want to make your drivetrain run extra smooth, invest in some fancy lube but remember to still clean everything regularly and reapply it frequently.